Our Calgary dentists review key moments in the history of dental fillings, and explain how these dental restorations have changed over time. The oldest known example of a dental filling dates back over 6000 years. Researchers found the remains of a young man in a cave in Trieste, Italy. In one of his teeth, they discovered an early dental filling made from beeswax. This shows that for at least 6000 years, humans have been making efforts to repair dental decay and damage. The Etruscans were an agricultural people living in and around the Mediterranean in the 8th and 9th centuries BC. They evolved into an urban population of craftsmen, traders, and navigators. The Etruscans created dental prosthetics such as gold crowns and fixed bridgework. A Chinese medical text from this period describes the use of ‘silver paste’ to fill teeth. This has led researchers to believe that they may have been using amalgam fillings. The first known book about dentistry was published in Germany in 1530, and it contained a history of dental fillings. ‘The Little Medicinal Book for All Kinds of Diseases and Infirmities of the Teeth’ by Artzney Buchlein covered topics like tooth extraction, drilling teeth and placing gold fillings. This book was primarily intended for barbers and surgeons, as there were no designated dentists at the time. In 1746, we see some early attempts to make dental fillings blend in with natural teeth. A Frenchman named Claude Mouton recorded the process for repairing damaged and decayed teeth with gold cap crowns, and recommended using white enamel to make gold crowns look more like natural teeth. In 1789, Frenchman Nicolas Dubois de Cheman received the first known patent for porcelain teeth. In 1840, the American Society of Dental Surgeons were concerned about mercury poisoning and required members to denounced the use of amalgams. Nevertheless, many dentists continued using amalgam fillings because they were less expensive and easier to use. The American dentists who chose to continue using amalgam fillings formed their own dental society, the National Dental Association. This evolved into the American Dental Association (ADA). American dentist Robert Arthur invented the cohesive gold foil method that allowed dentists to fill a cavity with soft, malleable gold using less pressure than had previously been possible. In the 19th century, modern dentistry as we know it today begins to develop. Throughout the 19th and early 20th century, metal and amalgam were most popular dental filling options, but porcelain and gold also enjoyed frequent use. 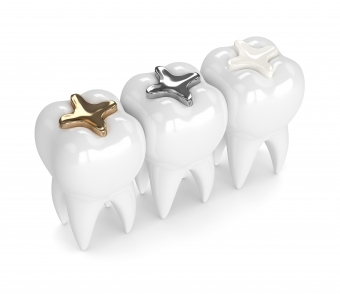 Today, fillings have evolved with technology, and are made with a range of materials including porcelain, gold, silver, composite resins or amalgam. The filling of choice will depend on the patient’s needs and budget, and the location of the decay or damage. 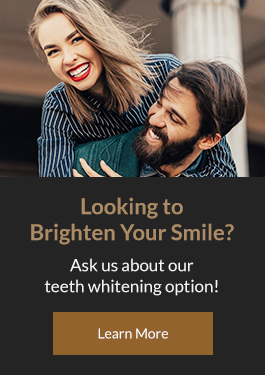 For more information about dental fillings or to book an appointment, please contact our Calgary dentists today.